Depending on where you are in the country, you can have an excellent summer, but the winter is less than ideal. If you’re hit particularly hard in the winter, you may be tempted to put on winter tires onto your car. The problem that this presents with is that it can be pretty expensive to have this carried out. Whilst winter tires are a necessity in some countries and areas, if the winters that you experience are moderate then it could be wasteful to put winter tires on the car. Moderate would be classed as mild snow fall and ice, with more than this requiring winter tires. Not only will you need to have to spend money on an additional set of tires for the winter, you’ll need to also pay money to have your summer tires taken off and then the winter tires put on. Also, you’ll need to find somewhere to store these tires. This can be a really big problem if it’s the case that you live in a property without a garage, or you live in a flat/apartment. Buying winter tires is really going to give you a lot of problems, as well as costing you extra money. But what if you feel that the tires you have on the car don’t give you proper grip in the winter? It could be the case that they need replaced if the tread is too low. Or it could be the case that the car has summer tires on them. You could argue that you could get away with using winter tires all year round. This is true. However, they will wear down extremely quickly on hot tarmac that the roads will be subjected to in the summer. The solution to this problem is actually pretty straightforward, to buy all season tires. These are specially designed so that they provide a great combination of grip in moderate winter conditions as well as giving great performance in the summer. They really are the sweet spot when it comes to tires. Think of it as being directly in between too hot and too cold, all season tires are just right. Of course, there will be some trade offs. The first is that should it be the case that you’re hammered with snow flurries on a daily basis over the winter then they’re probably not going to fare as well as dedicated winter tires will. Moreover, they won’t offer the same performance in terms of speed that summer tires do. You’ll still be able to do the speed limit in all season variants, but if you’re more into racing your car, then you’re going to need a performance summer tire instead. There is also a slight trade off when it comes to fuel consumption. Because they’re thicker than summer tires, it will mean that they’re a bit less fuel efficient. However, they’re not overly inefficient, but they’re just not as efficient as their summer variant. There are a wide variety of tire brands available on the market. As you’d expect, there are a lot of cheap variants out there. When it comes to tires, it really is the case that spending a tad more money will result in you getting a better lifespan from them. One of the best brands is Michelin. They are world renowned for not only excellent performance at an excellent price point, but also stellar safety. 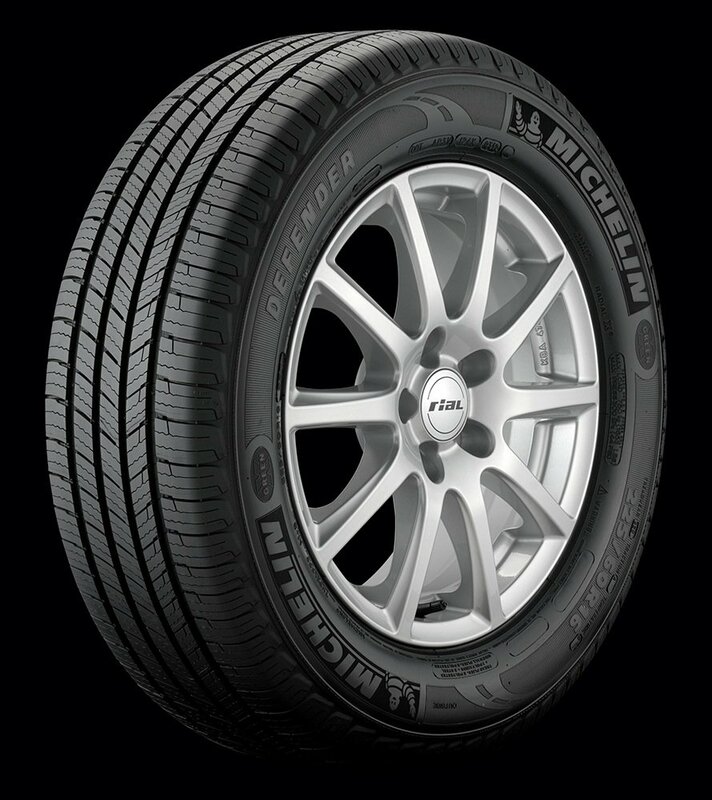 There are various different models under the Michelin range. However, it is fairly easy to determine what the best all season tire variant is. This comes in the form of the Defender All Season line of tires. Unlike those from other vendors, these come in a wide variety of sizes. Not only in the case of rim size, but also tire width. This is extremely important since using the wrong width of tires can result in wear of the tire shoulders over time. With the Defender All Season line of tires, they have had stringent testing in the USA. It has a speed rating of T which means that under load it is able to support speeds up to 118mph, safely. This is also tied to the safety tests that it has been put through. It has a temperature grade rating of B. This test is used to see how much heat is generated by the tire, and by extension the speed at which the tire can handle. The B rating for the defender range means that the tire can safely handle speeds between 100 and 115 mph. This keeping in line with the T rating which as mentioned above rates the tire at 118mph maximum. Given that this is well over the speed limit anyway, these tires are perfectly safe for normal use, and a further example of their excellent quality. In the case of the traction grade of the Defender, this is used as a way to measure the amount of traction achieved when breaking in the wet whilst driving in a straight line. There are four ratings for this, AA, A, B & C. The Traction Grade for Michelins All Season tires is an A, which is excellent. Linked to this is the treadwear grade of the tires. Michelin has rated the Defender’s at 90,000 miles. Clearly this is in the best case scenario. There are a lot of things that will alter this including driving style, road conditions and also proper care for the tire. This is assessed by using the tires in conjunction with a standard monitoring tire for 400 miles. The Defenders have a treadwear grade of 820. This means that the tires would last 8.2 times more than the standard monitoring tires. As mentioned above, Michelin has a tread life warranty of 90,000, or 6 years (whatever comes soonest). There is also a 6 year warranty for the overall material of the tire such as any perishing that may occur to the tread or the sidewall. However, as you’d expect, accidental damage is not covered. This would include damaging the sidewall after kerbing the wheel, or picking up a puncture. These all season tires are available from Amazon in the USA, UK and also Canada. The Michelin Defender truly is the best type of all season tire. When you factor in the excellent grip and lifespan of the tire and couple this with the cost of them, it doesn’t make sense not to buy this.